Metallica, Run-DMC and The Stooges. One rides the lightning, one raises hell, and one loves raw power. And come next April, they could all be on stage together as inductees into the 2009 Rock And Roll Hall Of Fame. Joining them on this year's ballot are Jeff Beck, Chic, Wanda Jackson, Little Anthony And The Imperials,War and Bobby Womack.Of the nine acts nominated, five will be chosen in January for top honors during an April 4 ceremony. Acts are not eligible for the Rock Hall until at least 25 years have passed since the release of their first single. If Run-DMC get the nod, they will be only the second hip-hop group behind 2007 inductees Grandmaster Flash & The Furious Five. 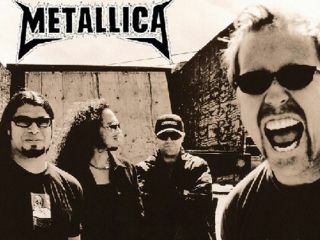 First-time nominees Metallica have grabbed the honor in only their second year of eligibility. Fellow first timers The Stooges have been eligible for over a decade. The 2009 ceremony will be open to the public for the first time, and held in Cleveland, the home of the Rock And Roll Hall Of Fame Museum, for the first time since 1997. And no matter what happens, MusicRadar tips its black hats to Jam Master Jay.